Ref: Euro 70 Gitterbox with sheet sides. 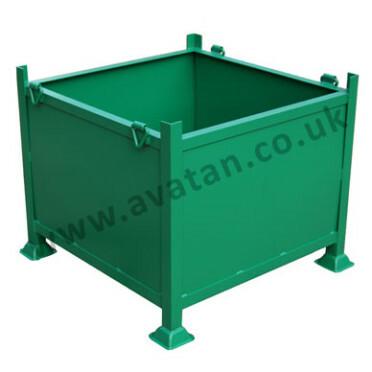 Euro style Gitterbox, strong steel box pallet with half drop gate. 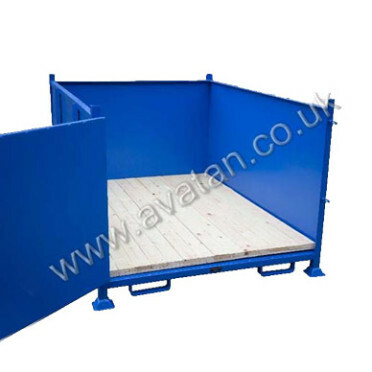 Rigid box pallet with half drop gate on one long side. 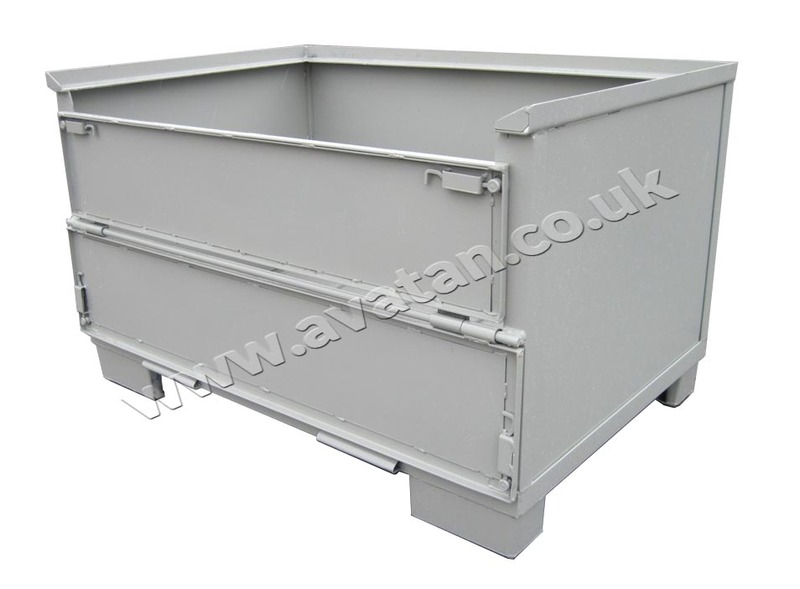 Unit having corrugated sheet steel base and flat sheet steel sides. 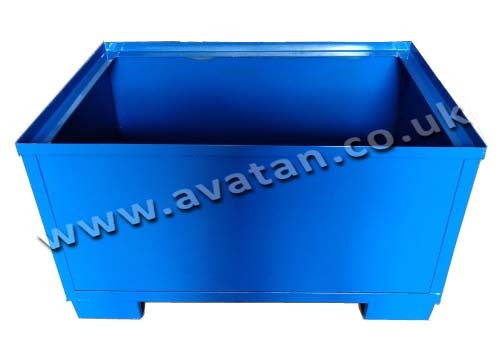 With sturdy stacking rim this unit is suitable for 1000kg u.d.l. 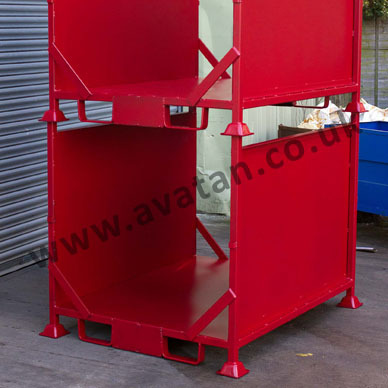 per pallet stackable five units high. This product is manufactured to order. For stock item see Euro 90B. 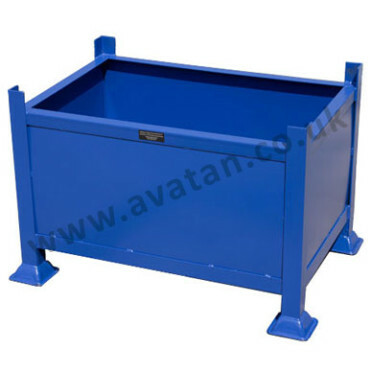 Euro cages gitter boxes are also available 500mm, 570mm and 640mm overall height. They may also be supplied as four sided rigid unit with sheet steel in all sides and without the hinging gate, see additional picture. Please ask for details.